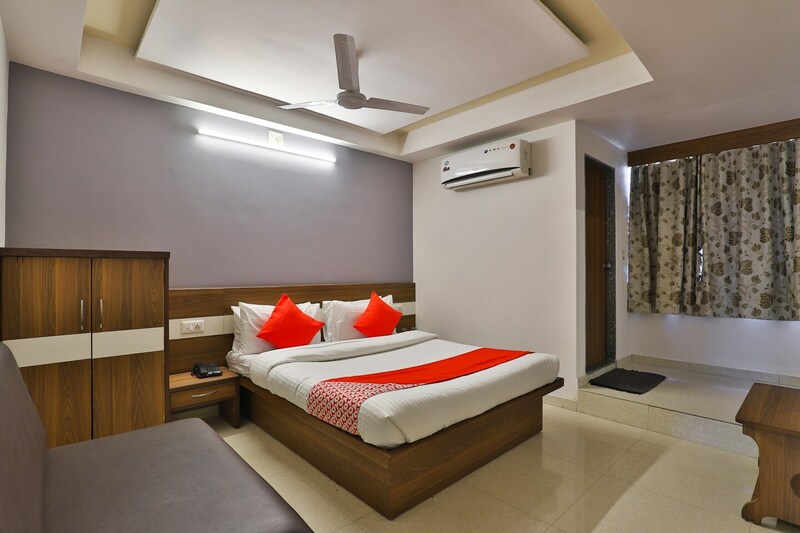 Offering comfort and great services at budget rates, OYO 2557 Hotel Tirupati in Ahmedabad is an ideal lodging for travelers touring the city. The property is well maintained by a trained and skillful OYO staff who ensure all your needs are catered to. All our rooms are well furnished and equipped with AC, Geyser, TV and a lot more. First aid, round the clock security and fire safety are provided to our guests for their safety. Our 24 hour helpdesk ensures your needs and requirements are catered to. Head out to visit the key attractions of Ahmedabad like Balvatika & N. H. Museum, Dada Hari Stepwell and Masjid Of Qutbuddin Ahmad Shah. Out of Cash? There is IDBI Bank ATM, State Bank Of India - ATM and Union Bank Of India ATM in close vicinity to the property.